Greek Easter Sunday is one of my favourite days of the year. The Greek God(zilla)’s family throws a big party and invite all of their friends and family over to celebrate. This year, the party was held for the first time at Griwi Manor, the home of my sister-in-law. There will have been much planning in the days leading up to the event. 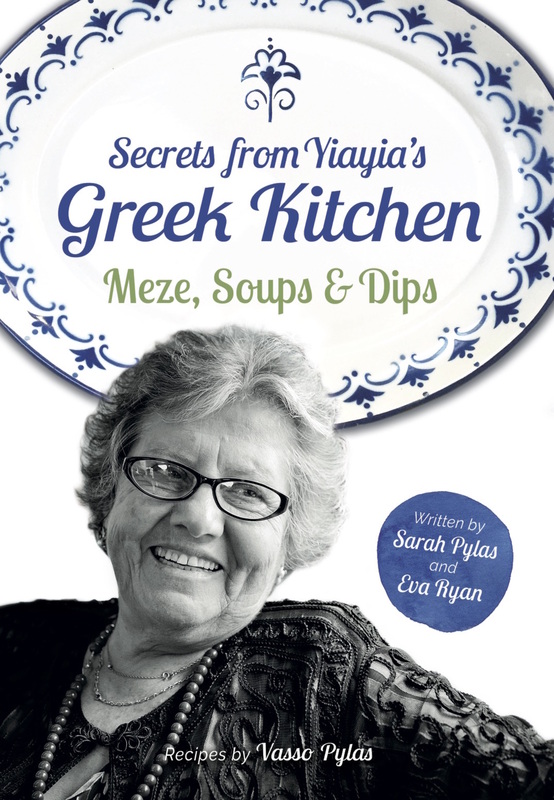 As well as deciding where to set up the barbecue, worrying about how to accommodate 40 people, and what will happen in the event of a torrential downpour – there was also the challenge of making sure that Yiayia put her feet up and did not lift a finger. However, as much as Yiayia loves to help with all the food, I do think that she was secretly pleased not to be burdened with all the washing up, or all the tipsy people dancing in her garden until the early hours. It was a glorious sunny day when we arrived. The lamb was browning nicely on the barbecue, the drinks were chilling in bins full of ice, and the eggs were painted and ready for the annual egg cracking contest. The cracking of the eggs is a traditional Greek Easter game and the rules are very simple. A few days before, the eggs will have been hard-boiled and soaked in dye. On Easter Sunday, each guest is then invited to choose ‘their’ egg from a selection on the table. The game involves each person tapping the egg of another guest, with the intention of cracking the shell of their opponent’s egg, without breaking their own. The player who successfully cracks the eggs of all the other players is declared the winner and, it is said, will have good luck throughout the rest of the year. Now, for the past two years it has been little Archie Bear, my 3-year old nephew, who has held the lucky egg. He was very excited to be defending his title for another year and excitedly held his egg out to me. I took him out in one small tap. I moved ruthlessly around the garden and completely obliterated the competition ONE BY ONE. I avoided eye contact with the younger kids, as their little faces crumbled in front of me as I triumphed time and time again. A crowd slowly started to gather around me and the other remaining player, one of the 2-year old Griwi twins. I knelt down beside him and gently held my egg out for him to take the first tap. My steely facade threatened to slip as my beloved godson went in for a tap and made a tiny crack on one side of my shell. He went straight in again without any hesitation. Another hit… but the top end of my egg still remained in tact, while his was starting to slowly disintegrate around him. Bits of shell were starting to stick to his little fingers, but he was not admitting defeat very easily. Eventually, it was his own mother who called time on the battle and generously declared me to be the 2013 Egg Cracking Champion. A bitter-sweet victory, in all honesty. But, I’ll take all the luck I can get. The One Where I Am The Winner has a nice ring to it for a blog post, I thought to myself. Little did I know that drama was about to strike and although I had successfully claimed the Egg Title, this Easter blog post would belong to Yiayia. With our bellies full of meat, lemon potatoes and spanakopita, our glasses refilled, and the eggs all cracked, it was time for Yiayia to drive Papou home. I do not know who noticed the big gash in her front tyre first, but we suspect it was not Yiayia and that she had actually been driving around with this flat for at least a day. The reason this thought even entered my mind will be of NO SURPRISE to regular readers of this blog, which incidentally should really be sponsored by a breakdown recovery company, or Sat Nav. Yiayia called all the men kerbside to help… and they all looked on in awe as Rob demonstrated how to change a tyre. Am I the only one to find it absolutely hilarious that the thought of there not being enough potatoes for everyone to be able to have at least 4 servings each, was enough to bring Yiayia out in hives… yet the fact that she had been driving around with a slashed tyre, for at least a day, and to replace it will come at considerable cost… was enough to have her in absolute stitches laughing for the rest of the day? Love your family & well done to you on winning! What a feat. You need to keep the egg for all time (never to be cracked)-believe me we cracked the winning eggs years later & it wasn’t pretty! Your family sounds fabulous. What a lovely Easter celebration. Well done you on the egg championship! X. What a dfab celebration love your steely detrermination against a 2 year old! haha, I almost lost my nerve for a moment but remained focused on the task at hand! Anya from Older Single Mum and The Healer recently posted…Mums Are Amazing! • Egg wars were popular throughout Medieval Europe at Easter. The most famous, which occurred around 975 A.D., took place between the bishop and dean of Chester, England and the cathedral choir. Records state that weeks later, one could still hear the eggshells under one’s sandals. Esteban N. Bates recently posted…No last blog posts to return. Beat those eggs in there. One at a time. I don’t know if that makes a difference, but that’s what yiayia says, and what yiayia says goes. Benjamin Hill recently posted…No last blog posts to return.